Xiula (“whistle” in Catalan) is loved by the old and young alike. 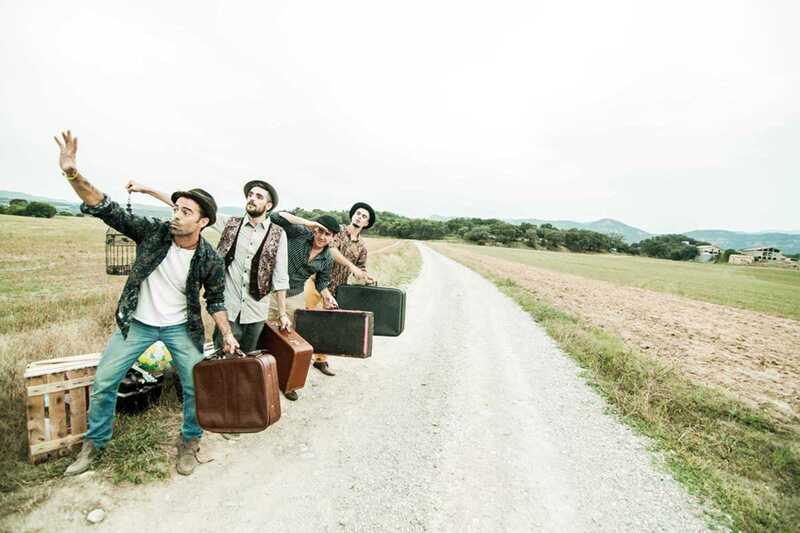 Creating melodies that illustrate modern values for children, Xiula’s first album, Donem-li una Volta al Món (Let’s Take a Trip Around the World), launched the band’s fame in Catalunya (and available on Bandcamp), while their new second album, 5472m, is cementing that fame. An eclectic mix of electronic music, dubstep, rumba, rock and ska, the album’s lyrics navigate the journey of life, combining sounds and letters for both children and adults, along with a beautifully illustrated book by Mariona Tolosa. Performances by the band are interactive and lively. With unique entertainment, an emphasis on solid values and, of course, lots of laughs, you’ll go on an adventure at a Xiula show. Choose from three show formats, which include dynamic dancing, theatrics and even shadow puppets. On July 16th, Xiula will be performing in Barcelona at the Estiu Besòs-Maresme festival. With over 75,000 views of their hit, “Verdura i Peix” (“Vegetable and Fish”) on YouTube, it’s no surprise that Xiula is expected to fill the seats this summer, performing in Catalunya through September.